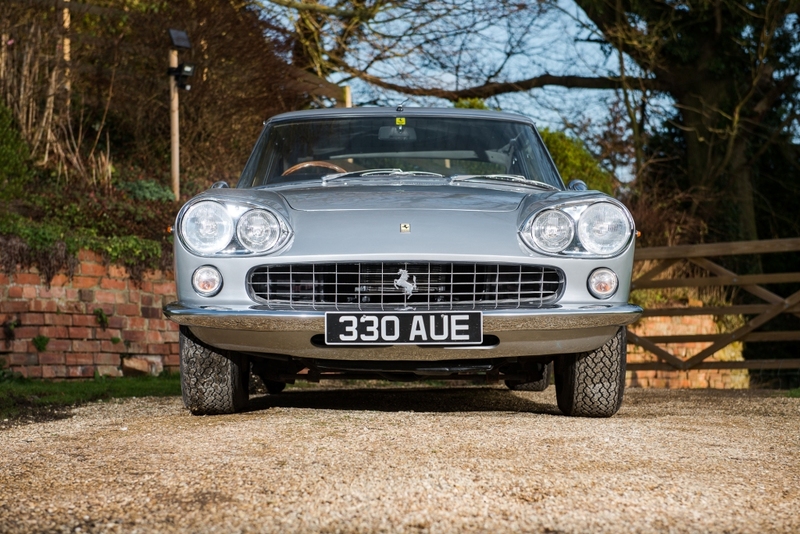 A stunning 1965 Ferrari 330 GT 2+2 Series 1, just one of 44 UK right-hand drive examples built, is for sale at the Silverstone Auctions Race Retro Classic Car Sale. 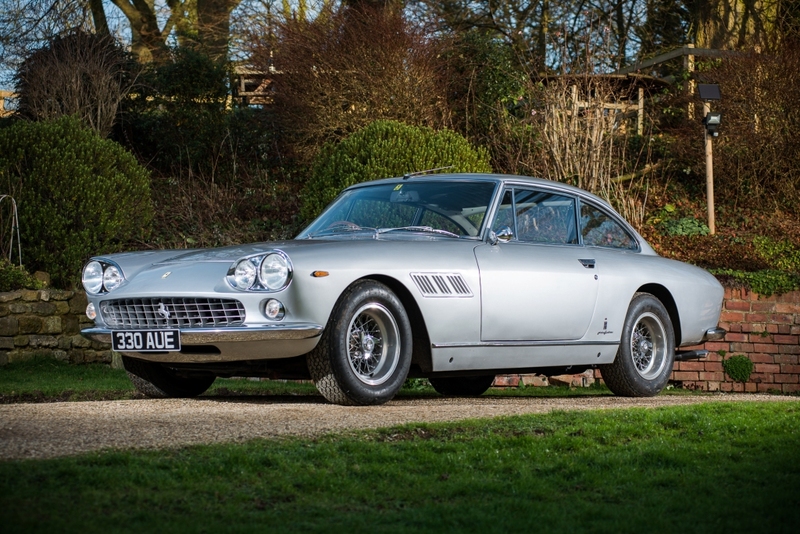 Resplendent in its original colour of Grigio Argento, chassis number #6875 is expected to fetch between £160,000 and £190,000 when it goes under the hammer over the weekend of 24th and 25th February at Stoneleigh Park in Warwickshire. 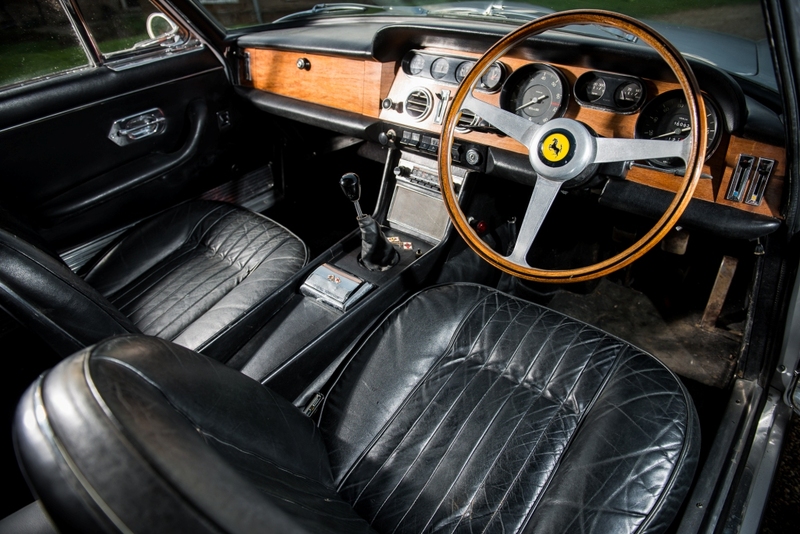 When launched in 1964, the 330 GT 2+2 was the fastest road-going Ferrari. This was made possible by a mighty 300bhp V12 engine that propelled the Prancing Horse from 0-100km in a mere 6.3 seconds. 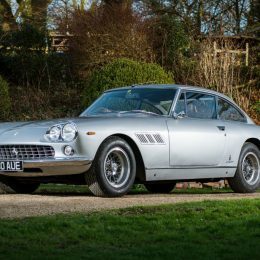 Adam Rutter, classic car specialist at Silverstone Auctions, said: “It’s a rare occurrence for a right-hand drive 1965 Ferrari 330 GT 2+2 Series 1 to come to market, so Silverstone Auctions is proud to offer this beautiful car for sale at Race Retro. 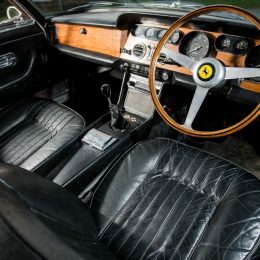 The 330 GT 2+2 Series 1 proceeded its earlier 250 2+2 GTE and 330 America cousins and was styled by Pininfarina. It includes some bold design elements, including a sharper nose and tail, a wide grille and its characteristic four-headlights. Chassis number #6875 was optioned with wire wheels and power-operated windows, together with a Pelle Nera Franzi leather interior. It has been owned by the vendor for 10 years and has benefited from a full respray, cylinder head and gearbox rebuild. It has also previously enjoyed a full bodywork overhaul which included replacement sills and floor panels, among other work over its lifetime. The Silverstone Auctions sale takes place at Race Retro, considered to be one of Europe’s most prestigious historic motorsport shows. 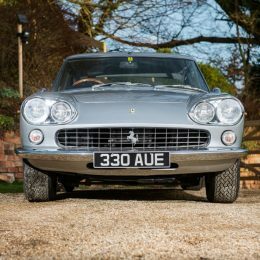 For more information about the 1965 Ferrari 330 GT 2+2 Series 1 for sale visit https://www.silverstoneauctions.com/1965-ferrari-330-gt-22-series-i.